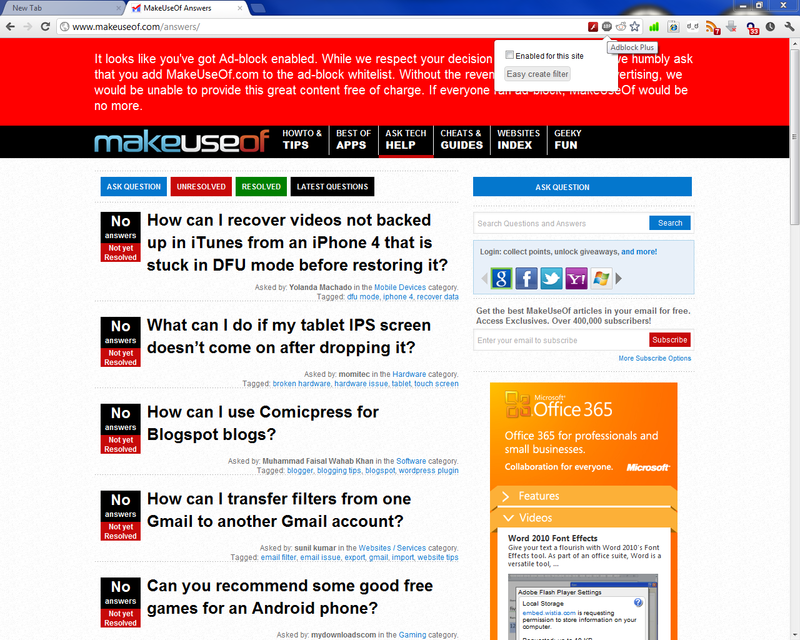 As you can see AdBlock is not enabled and I see adverts, so why does it still moan that I have AdBlock enabled? In chrome there are two adblocks one is "Adblock Plus" another is "Adblock" itself. You may have whitelisted/disabled "Adblock Plus" but another extention("Adblock") may be still running..
Have you tried what James has said, Try disabling the extension(ABP) or check for other similar type of extension that you may have installed unknowingly. Re-check the whitelisted domain tab again to make sure makeuseof.com is logged into its records.